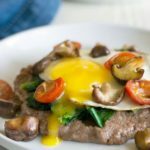 Home » Chef Recipes » 8 Healthy Gluten Free Breakfast Recipes That Don’t Taste Healthy! If you love sweets, you are going to love this roundup of tasty treats. 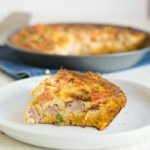 If you are not the traditional eggs and bacon breakfast eater, you will be surprised how much healthy stuff you can add (hide!) in gluten free baked goods! 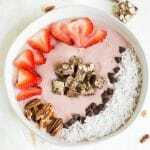 Here are 8 Delicious Healthy Gluten Free Breakfast Recipes That Don’t Taste Healthy! My kids have never been the traditional breakfast types. They like sweet, baked treats and easy grab and go breakfasts. I like my breakfast more savory. Here are some of our family’s favorite breakfast recipes. My challenge has always been to hide some nutrition in, without my kids detecting anything healthy. They are vegetable savvy…and can detect one a mile away. They know when I hide a vegetable, and they boycott my attempts. These easy gluten free breakfast recipes are all healthy. They are full of good stuff like chia seeds and healthy whole grains. You won’t find refined sugars in any of these recipes! I prefer to use lower glycemic sweeteners like maple syrup and coconut sugar in my healthier baked recipes. All of these gluten free breakfast recipes are make-ahead breakfasts and all but the chia pudding can be frozen. This comes in handy because you can make a double batch and freeze the extras! For these recipes, you will need either a non-stick muffin pan or a non-stick 8×8 baking dish. Let’s start with my kids’ favorite, donuts. Buckwheat never tasted so good when paired with fresh juicy pears. 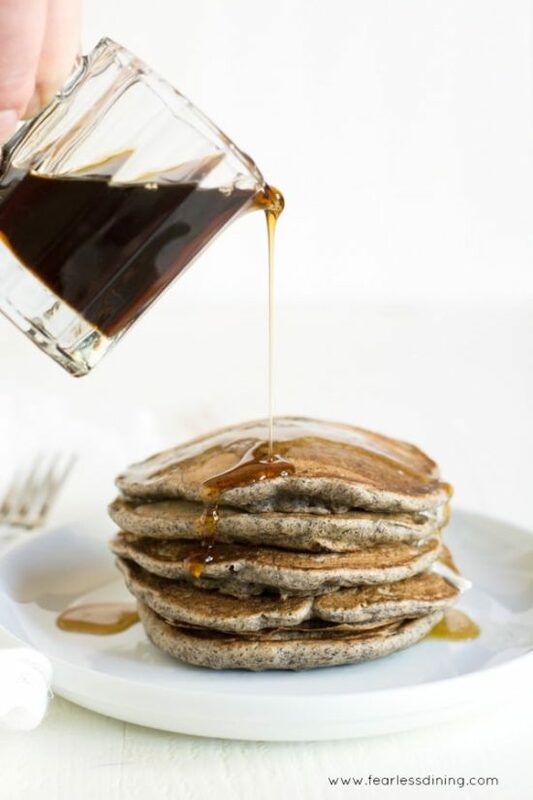 My kids won’t touch regular buckwheat pancakes but add pears (especially in the fall when they are in season) and you get a whole new level of natural sweetness. I make these in a 12″ cast iron skillet for a tiny boost of iron. 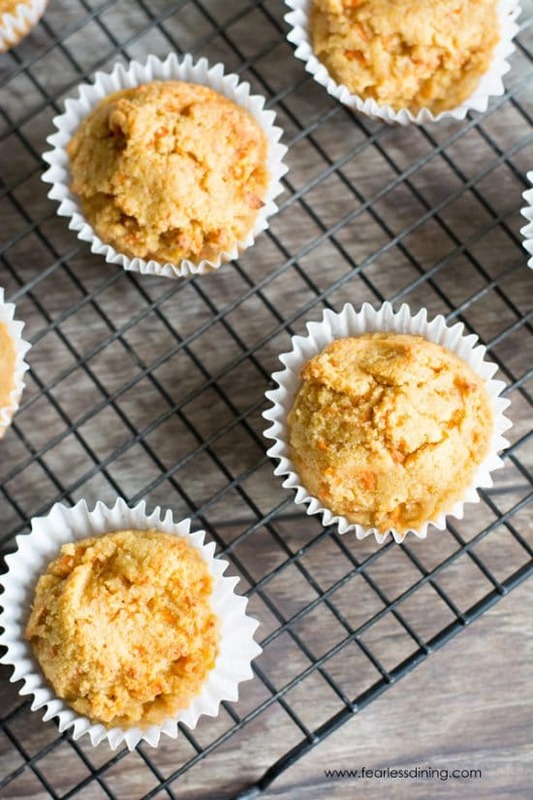 These paleo breakfast muffins are a grain free treat that your whole family will love. Almond flour gives them a protein boost, making them perfect when you need a breakfast you can grab on the go. Who said you have to have bacon with eggs? 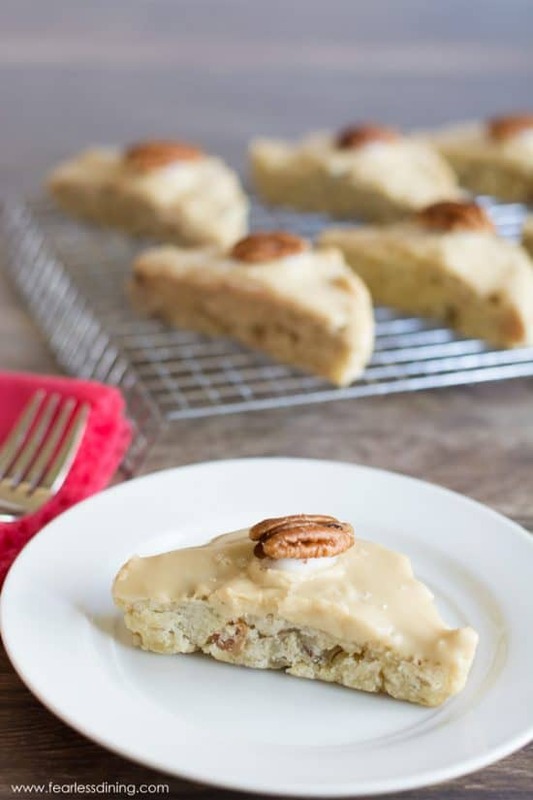 Bacon is even better in these gluten free maple bacon scones! Give it a try and let me know what you think! Make sure you use certified gluten free oats, that is really important! I add almond flour and flaxseed meal to boost up those waffle pancake mixes to add nutrition. My kids have no idea I do this, so please don’t tell on me! Okay, this isn’t a sweet treat…but it is one of my personal favorites. 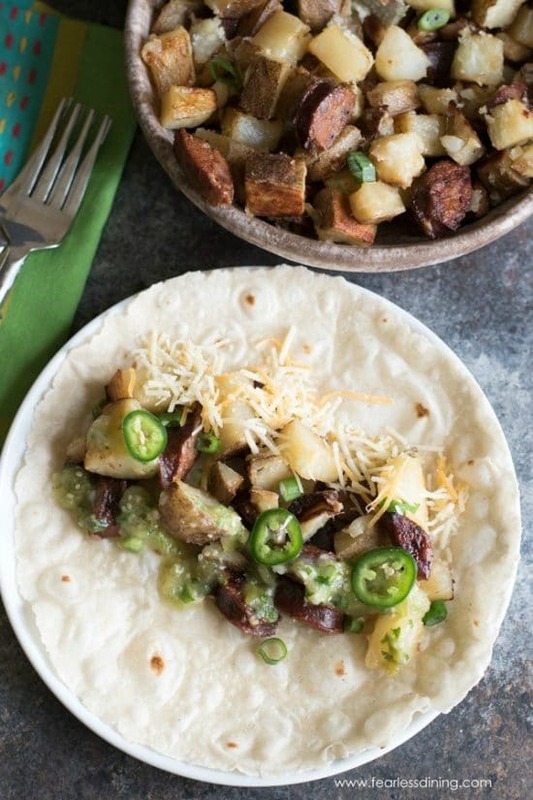 It is hard to talk about breakfast without mentioning these Potato Chorizo Burritos with fresh tomatillo salsa. 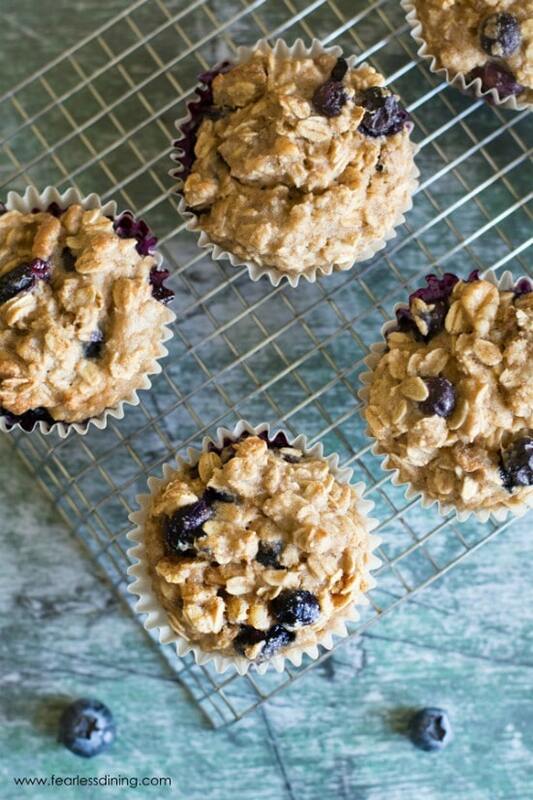 Even better, you can freeze these and then just reheat them for those busy mornings! 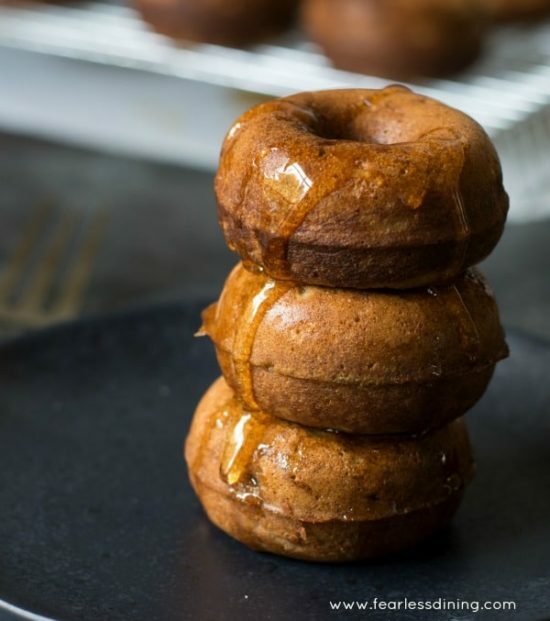 You won’t believe this simple paleo apple cinnamon donut recipe. 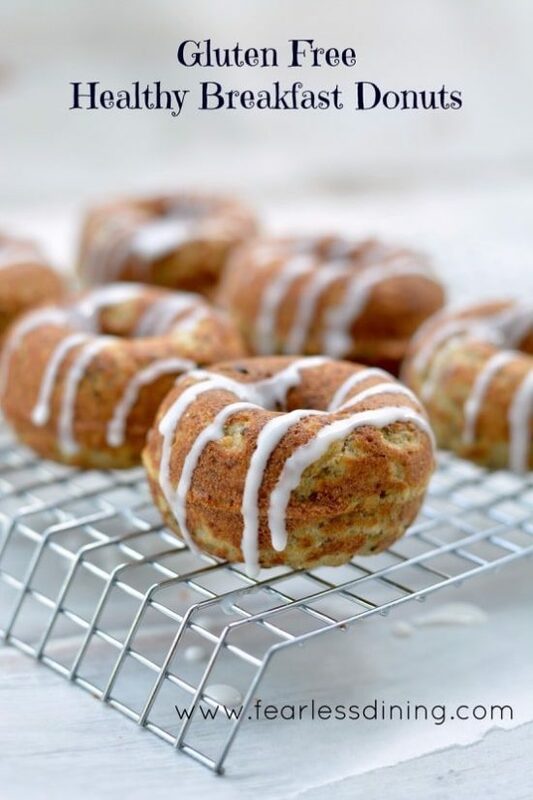 This donut recipe is perfect for a healthy breakfast! I was trying to pick a favorite, first I picked the donuts, then the scones, next the breakfast burrito – but I don’t know that I can! I will have to try them all – so many delicious decisions! I love all of these breakfasts! Thank you Jessica. Which breakfast are you thinking about trying first? 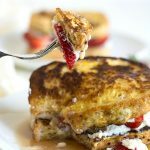 I’ve been looking for new breakfast recipes to try! Those apple cinnamon donuts look so delish, I can’t wait to see what the family thinks of them. Thanks for the recipes! Wow, it’s really amazing! This is the perfect breakfast for me and my family! I definitely want to try everything! Looks very tasty! Thank you for sharing this great post! With my two-year-old, I know all about hiding healthy stuff in food! These are such great options for healthy breakfasts. Those donuts look perfect!